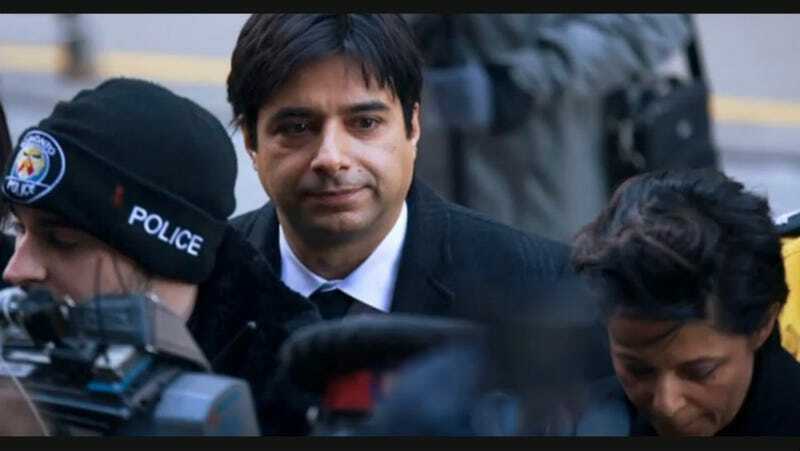 Jian Ghomeshi, the disgraced Canadian radio star who went to trial on sexual assault charges against three women, has been acquitted on all five counts: four of sexual assault and one of overcoming resistance by choking. The three women who testified against Ghomeshi were all cross-examined by defense attorney Marie Henein during the trial about why they continued to see and communicate with Ghomeshi following their alleged assaults in 2002 and 2003. Henein also pointed to inconsistencies between what the women told police initially and what they ultimately testified to at trial, although each was consistent in saying that Ghomeshi had punched, choked, or slapped them. Henein ended the trial by suggesting all three women were guilty of perjury. Ghomeshi didn’t testify at trial and the defense didn’t present any evidence. “The negative impact of this after-the-fact-conduct is surpassed by the fact that she never disclosed any of this to the police or the crown. It was only after she confront by the emails and subsequent images” in cross-examination “that she remembered the emails were part of a plan,” the judge said. Horkins also pointed to email exchanges between the third witness and actress and former Air Force Captain Lucy DeCoutere (the only accuser who’s publicly used her name), saying they showed that the women thought of themselves as a team dedicated to bringing Ghomeshi down. Protesters greeted Ghomeshi on his way into the courthouse, and a rally titled #WeBelieveSurvivors is planned for Thursday evening. Ghomeshi still faces a separate sexual assault trial on allegations made by a fourth woman, slated to begin in June. The full verdict will be available to be read shortly on the Ontario Court of Justice’s website. The Star’s reporter present at trial tweeted that all three women left the courtroom in tears. Update, 11:50 a.m.: Read the full judgment here.